Native-speaking linguists translate documents and digital content with accurate language and cultural content within your time frame. Custom learning methods and native speakers help groups or individuals develop language competency skills and cultural awareness. Custom Cross-Cultural and Diversity training builds employee knowledge and insight into cultural differences critical to achieving business success. Foreign language interpreters provide on-site or telephone interpretation to give critical context to the words you say and hear. We understand that your financial and professional success depends on the quality and accuracy of your communication in a culturally competent manner. At PALS INTERNATIONAL, our mission is to provide the highest quality services that lead to global success. Our passion for languages and cultures fosters an environment that delivers quality solutions while providing clients with personal attention, timely support, and a long-term commitment. Our goal is to provide our clients with a valued and trusted business partner to aid in their global expansion. Our firm has established a network of approximately 2,000 professionals in over 100 countries that can assist with the language and cultural needs of clients. We are a certified woman and minority owned language services provider with extensive experience working with global companies since 1983. Our expert team consists of native-speaking translators, interpreters, instructors certified in unique and effective teaching methods, cultural specialists, as well as bi-lingual program managers. We work with each client to provide customized, yet structured programs to meet their unique global business needs. We recognize the critical importance of providing high-quality language service solutions within committed delivery intervals. 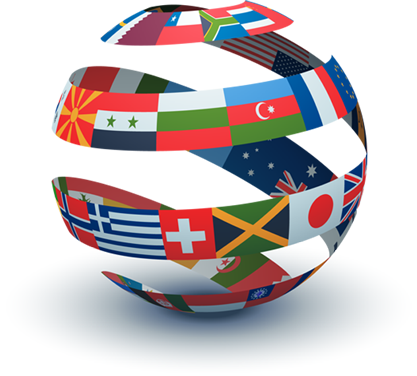 We understand each client’s need to develop the most cost-effective solutions pertaining to their global language needs. Looking to get a quote or more information on how we can help you? Simply enter your info below and one of our team members will follow up with you directly.